What is the flow of a session with Dr. Bernadette? Prior to your session, Dr. Bernadette asks that you create a list of questions and topics you would like to work on for your session. This creates a divinely guided conversation that opens the door for transformation. During the session Dr. Bernadette will be facilitating her transformational energy work. The conversational flow is fun, easy and relaxed. Dr. Bernadette is very gifted in working with both animals and humans. Please note all of her sessions include working with the human, even the sessions that include the animal and human. Does Dr. Bernadette work with animals only? Humans only? Or both animals and humans? Dr. Bernadette works with both animals and humans. She offers sessions for humans or animals & humans. Her sessions focus on transforming deep emotions, beliefs, thoughts and old patterns that no longer serve which can be reflected through many different avenues of life. The Animal-Human Connection is one of these reflections. Dr. Bernadette also works with those who do not have animals. What do sessions focus on? Sessions focus on the questions and concerns clients would like to address along with any energies Dr. Bernadette perceives for transformation during the session. Energies typically perceived during a session may include deep subconscious emotions, beliefs, thoughts and old patterns that no longer serve. These sessions are not for medical diagnosis, prescribing, treatment or advice. Prior to your session, Dr. Bernadette asks that you create a list of questions and topics you would like to work on for your session. I don’t have an animal do you work with Humans as well? Yes, absolutely! Dr. Bernadette works with numerous clients who do not have an animal. Having an animal is not a requirement to work with Dr. Bernadette. Working with humans is a big part of her work. Will you medically diagnose my pet? No, these sessions are not for medical diagnosis, prescribing, treatment or advice. Dr. Bernadette’s transformational sessions focus on transforming the energies behind an issue or concern that contribute to emotions, behaviors, beliefs, thoughts and old patterns that no longer serve the human and/or animal. Are sessions interactive? Can I ask questions? Or do you just talk to me? Yes, sessions are interactive. When a client brings their list of questions and concerns to address during the session it allows the door of transformation to open. This creates a conversational flow between Dr. Bernadette and her client. Occasionally information may be channeled, however session flow is normally a divinely guided conversation between Dr. Bernadette and her client. Clients are encouraged to participate and ask questions during their session. Does Dr. Bernadette talk to the animals and can she relay information from her clients to their pets? Yes Dr. Bernadette talks and communicates with the animals and relays information to them during her sessions. Dr. Bernadette conveys guided messages, concepts and energies to the animals in the session whether it is from the owner or things she is guided to in the energetic field. Often times she will have owners participate in this, facilitating deepening of their connection. Does Dr. Bernadette do her transformational work during a session? Yes! 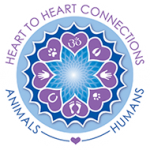 During each session Dr. Bernadette is facilitating transformational work for the highest and greatest good for each one of her clients, both animals and humans. Dr. Bernadette often walks clients through what she experiencing to help them better understand and connect with the transformational energies. No they do not. The energy is the same for Dr. Bernadette whether an animal is present or not. She can still easily connect with the animal. If an owner feels they may be distracted with their animal present it is best to find a quiet place for the session. This allows the owner to focus on the questions, concerns and energies moving during the session. No, sessions are not recorded. Clients are encouraged to take notes or use a recording device of their own. Dr. Bernadette’s transformational energies by pass the human mind, accessing the core of the issue to create lasting change. Clients may feel like they don’t remember parts of the session. That is normal and ok as it is a way the energies are being integrated and old patterns released with ease and grace. A tip Dr. Bernadette has found helpful for her clients are to call on the transformational energies of the sessions to be fully integrated with ease and grace. This allows clients to re-access the transformational energies of their session and integrate the energies on a deeper level. It also empowers her clients creating a deeper connection to Self. How long do the session’s transformations last? Everything is energy and energy is fluid. The transformational energies are lasting as it creates a new vibrational set point for your entire system. Sometimes certain issues are like peeling and onion and other times it is instant. Each new vibrational set point allows you to access more of your Self, creating lasting transformations. Does Dr. Bernadette offer sessions Worldwide? Yes! Dr. Bernadette works with clients worldwide. She offers sessions for US clients via phone and International clients via Skype. Is a follow-up session recommended? When Dr. Bernadette works with a client her intention is for her clients highest and greatest transformation for the session. This means whatever issues or concerns are up for transformation Dr. Bernadette facilitates those energies during the session. Clients may experience instant transformation or experience the energies transforming like peeling an onion, layer by deeper layer. If you feel like you have hit a deeper layer to work through, then yes Dr. Bernadette recommends a follow-up session. She also does sessions for new or additional issues or concerns that arise. Dr. Bernadette loves working with her clients and is happy to facilitate on their journey of transformation and empowerment. What can I expect after session? Each session is very individual to the human and animal. The transformational energies integrate as long as is necessary for the particular individual and animal, all with ease and grace. After a session one may experience a deeper connection to Self, a deeper connection with their animal, a deeper understanding and peace of the issues or concerns brought forth in the session, clarity, a new sense of Self, feeling more empowered, integrated and connected.